Here's a blast from the past! 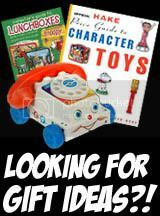 This is a Vintage Toy TV Commercial for the DR. SEUSS SUPER SEE AND SAY Toy made by Mattel. As a small child the Cat in The Hat Seuss Books created a true joy of reading for me & I'll always love them for that...Enjoy.